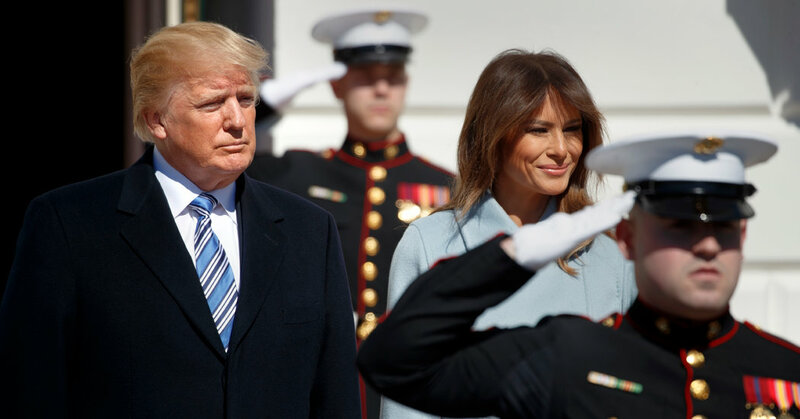 President Trump and the first lady, Melania Trump, on Monday. WASHINGTON — President Trump pushed back on Tuesday against reports that his White House is in chaos, following the resignations of senior staff members and as the special counsel’s investigation into Russian election meddling inched closer to his inner circle. It was an odd defense for a man who has thrived on chaos and has used it as a way to both organize people and manage them. The New York Times and others reported on the cascading chaos of last week, with the announcement of the resignation of one of his longest-serving aides, Hope Hicks, and the threat of another staff resignation after Mr. Trump announced a new trade policy against the advice of one of his top economic advisers, Gary D. Cohn. Mr. Trump’s son-in-law and senior adviser, Jared Kushner, had his security clearance downgraded, significantly limiting his access to some of the most serious national security issues the president faces. The White House also pushed back on rumors that Mr. Trump planned to fire his national security adviser, Lt. Gen. H.R. McMaster. Mr. Trump’s first national security adviser, Michael T. Flynn, resigned early last year and is cooperating with the special counsel in its ongoing investigation.